When you need the absolute best case former, there’s no better source than Technical Packaging Systems. 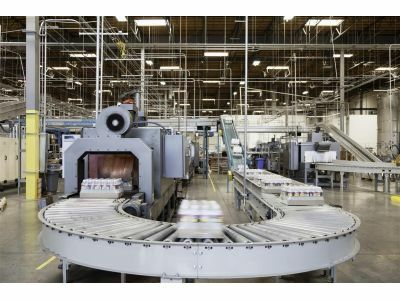 With an experienced sales team and a catalog of the industry’s top packaging equipment, you can be confident that you’ll find exactly what you need. Better still, if you’re unsure about your needs, our team will work with you to understand the challenges that you’re facing and then identify potential solutions. Whether you’re running a single small line or a massive manufacturing facility, we’re here to help! In today’s post, we’re going to discuss the BEL 5252u semi-automatic form, pack, and seal system. The BEL 5252u is an all-in-one solution to your line’s forming, packing, and sealing needs. Designed to integrate seamlessly, it offers several distinct advantages over independent, isolated systems, including a much smaller footprint and lower ongoing labor costs. The BEL 5252u is built for consistency. With a powerful Uni-Drive system that synchronizes conveyor belt speed, it promises more uniform packaging dimensions. By eliminating case skew, you can be certain that all of your packaging materials will leave the machine ready for use. The BEL 5252u isn’t just great at its job, it’s extremely easy to set up. It comes with a color-coded pictorial guide that walks you through the installation, setup, and configuration process, allowing for swift installation – and changeover – in no time at all. At Technical Packaging Systems, we aim to make our customers’ lives easier. We understand how difficult it can be to locate, research, and source new packaging equipment, including case formers. If you’ve been considering upgrading your current equipment, we encourage you to browse our site, learn more about the products that we offer, and contact us with any questions that you might have.